Daily & Woods, P.L.L.C. is Rich in the Tradition and History of Fort Smith. Established in 1912, Daily & Woods, P.L.L.C. is one of the oldest law firms in Arkansas. For over a century, Daily & Woods, P.L.L.C. has provided legal services for individual, government, and corporate clients throughout the states of Arkansas and Oklahoma. Our legal team practices throughout the state of Arkansas and Oklahoma, and accept clients for representation in all areas, including litigation and appellate matters, oil, gas and mineral law, real estate and property law, including eminent domain and quiet title disputes, municipal and governmental law, administrative law, wills, trusts, estates, and probates, business law, and creditor collections. We also practice in North Dakota, and Wyoming and accept clients for representation in litigation and appellate matters, oil, gas, and mineral law, wills, trusts, estates and probate, and real estate and property matters. Please contact us for a free consultation, so we can discuss your personal and unique legal issues with you. Daily & Woods, P.L.L.C. is a full service law firm serving Arkansas and Oklahoma since 1912. "Mr. Canfield was very thorough and helpful to me." "Michael was suggested by a family friend when my elderly mother was planning her estate. He was very sweet and patient with her. He took the time to listen to what she wanted and never rushed her. We had no idea that 6 months later she would leave this earth for her heavenly home. Michael has been there for me to ask questions and help me travel down this path that my mom’s passing created. I would highly recommend him for any legal need as he is highly skilled in his profession." " I wholeheartedly endorse this lawyer. Mike Daily has been a friend of mine for years, and has also represented me in several disputes. Most recently he did estate planning for my husband and me. He is thorough, competent, and extremely well versed in his areas of practice. Mr. Daily is who I come to with all my property and estate planning questions, and he is always kind and helpful. I would recommend him to anyone needing guidance in real estate, estate planning, or pending litigation. " "C. Michael Daily is the premier Oil and Gas attorney in the western half of Arkansas and the eastern regions of Oklahoma. Every time I refer a client to him who is in need of legal services to protect their mineral rights, they walk away happy." "Mr. Mike Daily helped me to negotiate a contract for real estate with a company that was a lot bigger and had many more resources than I did. I felt like I was over my head but Mr. Daily was able to represent me but also keep the relationship very comfortable. We were able to get things in the contract to protect my interests without making the other side upset. It was a very smooth process and Mr. Daily knew of things we needed in contract that didn't make any sense to me. I recommend him." "Highly recommend using this law firm. Can't get any better than these guys and they are affordable and will work with you." "Mike is a thorough and knowledgeable attorney. He has not only helped me establish a Will, POA and Healthcare POA, business contracts but also established a trust for my children. 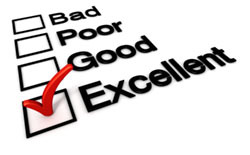 I have been so happy with the service that I have recommended Mike to multiple friends." "Mike has a great knowledge of Trust, Will and POA situations. He was very thorough and diligent in his questions to ensure our needs were met. I would highly recommend Mike for this type of planning." Experience Matters. Call us Today.